In his 50 years on the faculty at UC Santa Cruz, geologist Gary Griggs has witnessed a lot of natural disasters in the local area, including floods, landslides, earthquakes, and destructive coastal storms. 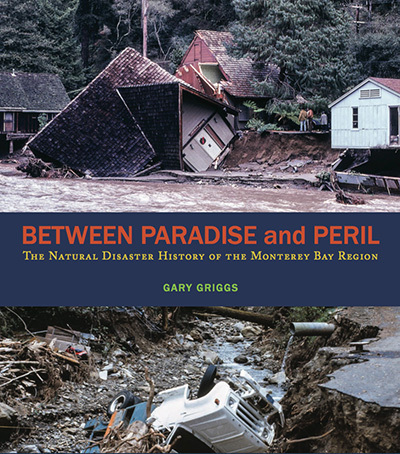 A distinguished professor of Earth and planetary sciences and former director of UCSC's Institute of Marine Sciences, Griggs puts the natural disasters of recent decades into historical context in his latest book, Between Paradise and Peril: The Natural Disaster History of the Monterey Bay Region. In a way, Griggs has been gathering material for this book for the past 50 years. The inspiration for writing it all down, however, came from the unexpectedly large turnout for a talk he gave on the subject in 2017 at the Rio Theater in Santa Cruz. "I realized people are inherently interested in natural disasters and in the history of their local area," he said. The collective memory of natural disasters tends to fade rapidly, however, and recurrent events such as floods and coastal storm damage take many people by surprise despite their long and well-documented histories. Griggs said he hopes the book will raise awareness of the vulnerability to natural disasters that goes hand in hand with the natural beauty of the Monterey Bay region, noting that Santa Cruz County arguably has more geologic hazards per square mile than any of California’s other 57 counties. "These things don't happen every year, and people move here from other places, so they may not realize the risks that come with that condo on the beach or that house in the mountains with a creek running through the backyard," he said. "When you see the history of these events, you realize there's nothing new or unusual about them." The book is well illustrated with more than 200 photos Griggs culled from his own collection and from various regional archives. After a thorough introduction to the region's natural hazards, the book offers a deep dive into each category of hazards in chapters on earthquakes, tsunamis, coastal storms and shoreline erosion, flooding, landslides and mudflows, and droughts. A final chapter addresses how the risks from some natural disasters are being heightened by climate change. The consequences of climate change include sea-level rise, warmer temperatures, and changing precipitation patterns. Events such as drought, flooding, wildfires, and coastal storm damage are likely to increase in frequency and intensity. At the same time, the population of the Monterey Bay region has grown tremendously in recent decades, putting a much larger number of people at risk from natural hazards. Griggs is not an alarmist, but he does hope to make more people aware of the natural disasters that have struck this area regularly in the past and are bound to do so again, perhaps with even greater intensity and frequency. "So many people are disconnected from the natural environment, I hope this book can give them a better sense of place," he said. 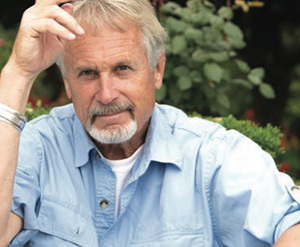 Griggs will be speaking about his new book at Bookshop Santa Cruz on November 8 and at the Seymour Marine Discovery Center on November 29.